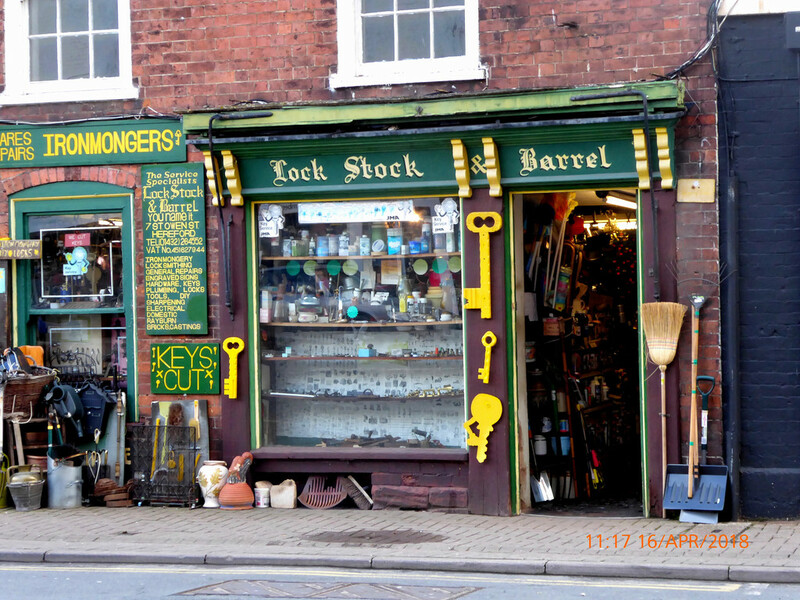 whilst in Hereford today went past this old fashioned Ironmongers shop. Great shot of this nice shop. How lovely and so nostalgic -- these old fashioned ironmongers had an unique smell to them and a treasure trove ! Would be so cool to have a key made in this manner instead of using those loud machines at the hardware store! I feel like a time traveler looking at this! Beautiful! Oh what an interesting shop. Reminds me of a shop near to where I lived as a child. Lovely old shop and great capture. Open All Hours! We have an amazing hardware shop too, sells everything from sewing cotton to rat poison. Marvellous places! So old fashioned looking, I think there's no doubt that they cut keys. Good shot. Great signs and eye catching. Interesting old shop. Love the vintage feeling. A fabulous old shop. Sadly there aren’t many like this about any more.